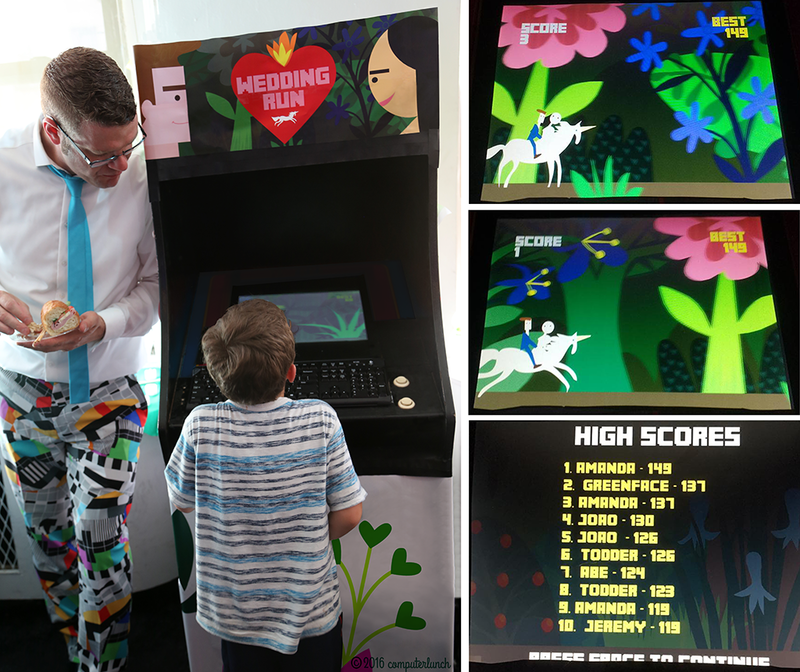 Wedding Run is a custom wedding game. You play as a bride and groom galloping on a unicorn through a floral forest, fending off increasingly frantic attacks from killer cats, aiming. The avatars are stylized portraits of the newlyweds, the graphics were inspired by the couple’s interests, which include their two cats, the wedding’s “Fantasy” theme, and the Unicorn tapestries. If you are interested in a custom wedding game, send us an email at hello@computerlunch.com.